It’s been an exciting week on Queens-Politics from Traitor Tony’s latest shenanigans to a classy showdown at City Hall. Below are links to all the action, not to be missed of course. Please don’t forget to Like us on FB or Follow us on Twitter. Grant Lally, GOP candidate for Steve Israel’s seat, has his FEC fines questioned on video. Stephen Labate, seizing the moment, questioned the integrity of Grant Lally. Photo of the day: T.R stumping in Forest Hills. Esquire magazine prints the definitive political apology. Traitor Tony joins the IDC. Avella won’t have the help of Democrats during reelection. Show down at City Hall, that pretty much sums it up. Senator Diaz is spamming Councilman Daniel Dromm. Grant Lally tweets a bizarre late night tirade. Photo of the day: Bill Clinton at Shea Stadium. 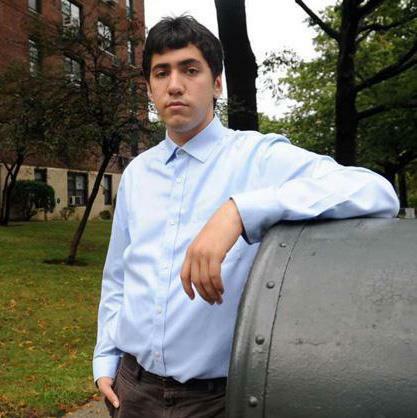 Avella could be spreading rumors about a Queens transit activist. Local Queens transit activist, Ali Fadil, writes in discussing his frustrations with Senator Tony Avella regarding negative rumors Avella allegedly spread about him to MTA officials instead of working together to solve a community issue. As you all may know I am a community activist based in Northeast Queens and I work on issues related to express bus service in Northeast Queens. I am writing today to discuss Senator Tony Avella. One of the most troubling and disheartening things that I have heard about Avella are the rumors which I have heard about him. These rumors are about Avella talking about me behind my back to MTA officials which I really hope is not true. It is unacceptable for an elected official to advocate for his constituents to their faces while at the same time turning around and talking about his constituents behind his constituents’ back to the agency that the constituent has problems with. If doing something like that does not violate the public trust, then what does? No pun intended, but IDC (internet jargon for I don’t care for those who don’t know) about someone’s political party/caucus affiliation or how progressive or conservative they are. 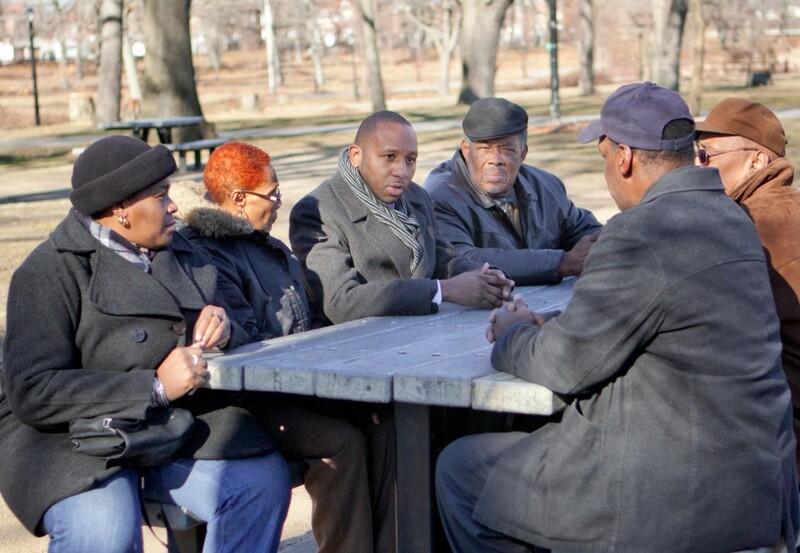 I am willing to work with anyone who will work with me to get what our neighborhood needs are, bottom line. Neighborhood needs such as improved express bus service are not necessarily partisan; in fact some of the biggest advocates for improved express bus service include Republicans such as Brooklyn State Senator Marty Golden or Staten Island Borough President Jim Oddo and Democrats such as District Leader Lew Simon or Councilman Costa Constantinides. All in all, what is most disheartening to me personally is not Avella’s switch to the State Senate Independent Democratic Conference (although I found it to be a shocker); but it is the rumors that I have heard that Avella spoke about me behind my back to MTA officials instead of genuinely working with me to get the MTA to make the service improvements our express bus riders in Northeast Queens deserve. Week in review: After a highly anticipated return, QP began posting the latest news and insight last week. To catchup, here are the links to the most important news and opinion of the week. John Messer appears ready to take on Senator Toby Stavisky. 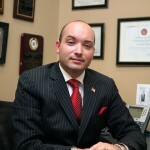 Paul Vallone is ready to serve the community with a new office and staff. Jerry Iannece is term limited as Community Board Chair; term limits for state officials called into question. Tony Avella is killing jobs with his latest gimmick. Grant Lally announces his run for Congressman Steve Israel’s seat. The ACA wants you to sign up. Jay Nordlinger, senior editor of The National Review visited the Northeast Queens Republican Club. Grant Lally is not an angel of good government. Daniel Dromm battles upstate “Bum” Tea Party Senator Greg Ball. Leroy Comrie will he run for Malcolm Smith’s seat? Melinda Katz gives an icy welcome at a budget hearing to Queens library tycoon. Just a month after election season and things are just BEGGINING to heat up. Looking back on the year, Queens-Politics had some really great moments, unforgettable moments in the never-ending quest to increase accountability in public affairs. QP played a significant role in city, state, and federal elections becoming the goto political blog and springboard for journalists and politicos. While not everyone will admit it, the hit counter doesn’t lie nor does my insight reposted word for word and without any credit. At times it’s a bit challenging – after all you don’t make friends when blogging about their political corruption, but that’s just par for the course. In reality it’s more like a badge of honor, a trying time when only those truly committed to serving the people survive. Queens-Politics first began when a bunch of us came together looking for a new outlet to feature the stories unheard in traditional media. Focusing on accountability, anonymity would be out of the question. Too many people take liberties under the cloak of anonymity, and some of their commentary is just sick and repulsive, but still worth a good chuckle knowing you’ve really shaken things up. At least on QP, you know who the author is and you can contact me. If you want a comment posted, you have to email it and identify yourself, at least to me. And that’s probably why we don’t get many comments, which is perfectly fine. All too often readers will try to pigeon hole a blog’s author as Democrat, Republican, conservative or liberal leaning, and so on and so forth. These folks are a little shortsighted. While the views and editorial focus on QP represent my own insight as a Democrat, let’s not get it confused with pragmatism and increasing accountability in ALL sectors of government and politics. Anyway, for those of you wondering where I’ve been, I’m still here and the best is yet to come. With the polls predicting a De Blasio trouncing of Joe Lhota, people are already beginning to wonder what Joe Lhota could have possibly done to improve the Republican chances on Election day. The answer may have been for him to have lost the primary…. John Catsimatidis was the biggest loser in this Election season, he had the resources to paint de Blasio as an extreme leftist and the resources to gain support in uninspired communities. Sadly, Joe Lhota can’t win even though he will make it closer than the 40 points he is currently down in the polls. 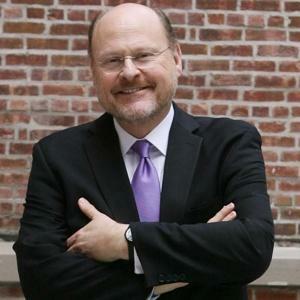 Lhota is governmentally strong but politically weak. Here’s why. 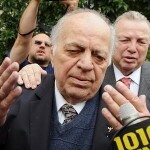 Catsimatidis missed his best chance and people are shocked as to why? Catsimatidis has been running for six years, yet his campaign team was so weak. His decision never to pay his campaign workers made him enemies within his own ranks. If you’re a billionaire why would you never pay your loyal workers? The billionaire candidate had a habit of withholding paychecks from campaign staff or giving them less than the amount originally agreed upon. Multiple sources have come forward claiming they were either never paid, not paid on time, or not paid the correct amount. Now these people aren’t ordinary people, they are the higher echelon of campaign staff – the kind of people who can put together a successful ground operation, but for one reason or another these folks were left hanging in a lurch by the billionaire oil baron. Hey Johnie Cats you blew it! 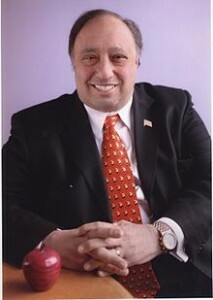 Cat’s campaign manager, Eben Bronfman, despite working on non-competitive elections with District Attorney Robert Morgenthau, was somehow hired to manage a citywide election that could have taken off in the right direction but never did because Bronfman’s strategy emphasized media outreach and press events instead of organizing boots on the ground for a grassroots GOTV operation. Even though his plan was shortsighted, he had Cats drinking the Kool-aid. This is not a joke. Cats had zero appeal on camera and needed locals to deliver his message. Bronfman’s strategy was deeply flawed: basic field organizing was never a priority. Millions were spent on advertising and campaign signs, but the people who actually put the up the signs and get out the vote were all allegedly short-changed, put on a back-burner as if their efforts didn’t matter. And on Primary day you could tell something was clearly wrong; there were simply not enough Cats people on the ground. Their GOTV operation was nonexistent thanks to Bronfman’s strategy. Many went to work for a candidate that would pay them. Despite Bronfman’s ill advice, not only did Cats lose, but he managed to incur the wrath of a small army who were never paid – even though he clearly has the money. Typically after a Primary, candidates come together to support their party’s nominee. Cats could have spent some of his millions bolstering Lhota so he could campaign on the same level as de Blasio, including flooding his campaign with boots on the ground, but he didn’t – and not because he doesn’t have the money – but because most of his people are still owed a check. His inaction will cost Joe Lhota and will further place him in mayoral campaign history as the silliest and stupidest billionaire. Clearly he will never be a Mike Bloomberg. With just seven days left, the polls might tighten up a bit, but it’s most likely Bill de Blasio will be our next Mayor. We’re predicting things are really going to heat up this week. On the right hand column, you can sign up for free email updates from Queens-Politics.com. With our posting schedule so random, we encourage all readers to sign up for our free email alerts delivered straight to your inbox hot off the presses. Knowledge is power, so be the first to read the latest behind the headlines news and opinion here on Queens-Politics.com. As you all may know Queens-Politics is north Queens based even though we cover the whole borough city, state, and sometimes national news. Reporting straight from the hood, Joe Lhota is taking off like wild fire, and this is not just some political speak – just ask some of the largest voting groups who’ve they endorsed. 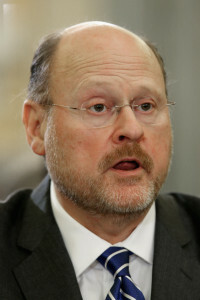 Many individuals feel a personal connection with Joe Lhota that we have not seen in a long time. Although North Queens was Rudy country, Joe seems to have a connection with the people that we never really had with Rudy. Bloomberg, although thankfully played defense to the radical lefties who want to destroy our city, he was never really one of us. Joe Lhota, the Bronx Bomber, has never lost his outer borough sensibility. Gifted with the ability to manage city agencies and understand the interweave of public and private sectors and comprehend how they all interrelate has made Joe special, but as he spends more time in North Queens, more and more people are realizing Joe is really one of us. Joe has a compassion to sincerely try to better the lives of all New Yorkers and a purity that says he might just pull it off. Recent polls have shown that the city is just getting to know Joe Lhota and we are confident that once the city gets to know Joe and contrasts him with the alternative, he may just be our next mayor. New Yorkers, political insiders, political junkies, gadflies, and County kiss assess get ready to have a front row seat in one of the most exciting months in NYC political history. We all grew up watching Rocky and in that movie although based on a fictional boxer, was a metaphor for comebacks, dreams, overcoming adversity, and the little guy taking on the system. This mayoral race will surprise a lot of people. We see and feel here on the streets of North Queens, the rumblings and birth pangs of a new Renaissance of common sense pro-New York values. For a considerable period of time, Christine Quinn was the apparent front-runner and according to many insiders, she was destined to be the Queen of Gotham. Along the campaign trail, many insiders attached to her a wicked lust for achieving power, lobbying access, money, and an opportunity to loot the city treasury. People thought it was her destiny to win, but as it turns out her destiny was to lose. Former Assemblyman Anthony Seminerio once said forget everything you think you know and remember destino, which in Italian means destiny. Quinn never realized that some of her fellow council members really did not like her, and the ones that did like her was because they selfishly picked the fig tree like Dominic Recchia, who took a lot of cannoli’s but couldn’t deliver a provolone sandwich on Primary Day. Not to mention Republican sellouts from Staten Island to all parts of NYC that embarrassed themselves in front of the leaders of their own party, their constituents, and most importantly, themselves when they look in the mirror. They took, took, took, and sold out, sold out, sold out, but couldn’t deliver a free ride on the Staten Island Ferry. Drinking her own Kool-aide. Quinn’s book sales never topped 100. Did she really think she was special? Quinn forgot that she’s here to serve the city and we are not here to serve her. The horse and carriage fiasco abruptly stopped her rise to the top. Quinn’s coldness toward animals in the horse and carriage industry showed voters her true colors as animal lovers across the city realized that she was not to be trusted with public power. Not being nice to Donny Moss. Donny Moss, like many of her constituents, had legitimate concerns. And like thousands of her other constituents, Donny Moss was ignored, but this time she picked on the wrong constituent. After all, City Council money can only buy off some people. In the end, you have to be there for all your constituents. Attacking the pregnancy centers. The pro-life movement, although often marginalized (and seen as counter cultural in NYC) was able to throw a left hook when nearly every Latino minister in NYC was notified of her attacks on pregnancy centers that give alternatives to abortion. You don’t have to be spiritual to know a small marginalized group can sometimes be surrounded by angels. 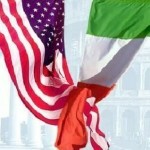 Quinn’s poor treatment of the McManus Democratic club. You can’t ignore the biggest democratic club in the city that happens to be in your district. While trying to expand other bases, power at home atrophied, and in the end Quinn was unable to garner enough support even in her home base. The Queens County Democratic Machine’s decades long pattern of suppressing elections, nepotism, and cronyism led to a County organization who’s elected officials are disconnected to the constituents they represent. Less maneuvering and more community organizing and maybe one citywide primary and they’ll get it right. 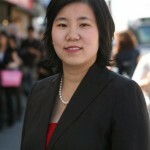 Her operative’s bright idea to try and bully and harass the editorial board of Queens-Politics backfired and ended up dividing the north Queens community as longtime friends and friendly acquaintances became bitter enemies with some issues still unresolved. Caught in the crossfire were lobbyists, their family members, as well as pro-lifers and their family members, Enough said, you can all figure out who won. The Anybody But Quinn movement. A coalition led by ideological activists and masterminded by the Advance Group with the help of Arthur Cheliotes and the CWA was able to body slam her public image at the last-minute. Naming the Queensborough Bridge the Ed Koch Bridge while Ed Koch was still alive so she could apply pressure to a public figure for an endorsement ended up leaving a bad taste in people’s mouths. Word is, in Astoria, when her canvassers would knock on doors, voters would slam the door in their face. Nothing against the late, great Ed Koch, but she tried to kiss up to a senior citizen without regards for Queens residents. The Bridge should have been renamed after his passing and not used to put pressure on him for an endorsement. Dante’s Afro. After the circus that Quinn, Liu, and Weiner put the city through, it was Bill de Blasio’s son that closed the deal for the confused and often frustrated voters of NYC. Please note, Quinn operatives will deny to themselves that these are the real reasons she lost the election, not to mention their ego’s are too big to give Donny Moss or the McManus Democratic Club any credit. Instead, they will blame Bloomberg yada yada yada go drink your Kool-Aid and remember you can’t hurt people and think there will be no consequences. With that being said, the Queens-Politics editorial board would like to say that Quinn and her merry band of influence peddlers should have been thanking God for the nice run they had instead of attacking His little ones in the womb and disrespecting His creation in the horse and carriage industry. Mr. Mark Krolikowski was the greatest teacher I ever had. 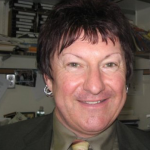 He was a mentor and a scholar, the type of teacher that made a genuine difference in the lives of his students, however the Catholic institution where he taught for over 30 years has a very different perspective on tolerance allegedly firing Mr. Krolikowski for being transgender. “Mark Krolikowski was the closest thing I had to a mentor during my time as a student at St. Francis Prep,” wrote Matt Stupp class of 2003. “He not only educated me well, but went out of his way to encourage me to full apply myself and offered his guidance on a vast array of topics,” he said. Students both past and present have taken their activism to social media networks like FB and Twitter to voice their frustration with the school’s decision as well as starting an online petition to urge the administration to formally apologize to “Mr. K”, as he was affectionately known. However, the outrage could still be felt across generations of students whom Mr. K had taught. Other former students feel that the worst has already happened to their beloved teacher and are calling attention to the message of St. Francis Prep has sent to students. “Honestly, I am all for prep formally apologizing to Mr. K, but is that really going to solve anything? I mean, the damage is already done and apologizing is only half the solution. More should be done to ensure learning about alternative lifestyles and being a Franciscan school, teaching true acceptance,” wrote Michael Rango class of 2010, on his Facebook wall. Mr. K taught a class on Human Sexuality and Love, wherein, ironically, he educated his students about gender tolerance and acceptance. “I would be shocked if SFP’s administration used justified cause in terminating Mark, as opposed to the blatant case of gender identity discrimination that this appears to be,” said Stupp. However the school’s attorney has persistently claimed Mr. K was terminated for valid reasons. In the meantime his students both past and present (many of which have become activists and risen to high-powered positions in government) stand united with Mr. K and hope that justice is truly served. Wishing you a very Merry Christmas and Happy Hanukah from Queens-Politics. A Latino Mayor in NYC? From Voxxi, an independent hispanic news outlet. It might baffle outsiders that New York City has yet to elect a Latino Mayor, but some New Yorkers would argue it’s less about symbolism and more about results. The reasons are numerous. Analysts say the city’s political power structure hasn’t lend itself to cater a Latino candidate and many are also questioning the viability of any promising contender. Others contest that it’s part of a national dilemma because political parties have not invested time in grooming Latinos to run on the local and city level. In fact, there are only a few recognizable Latino Mayors who include Antonio Villaraigosa of Los Angeles and Julian Castro of San Antonio.